​It has been estimated that there are more than 100,000 individuals in the UK who are incorrectly having to pay for their own health care. 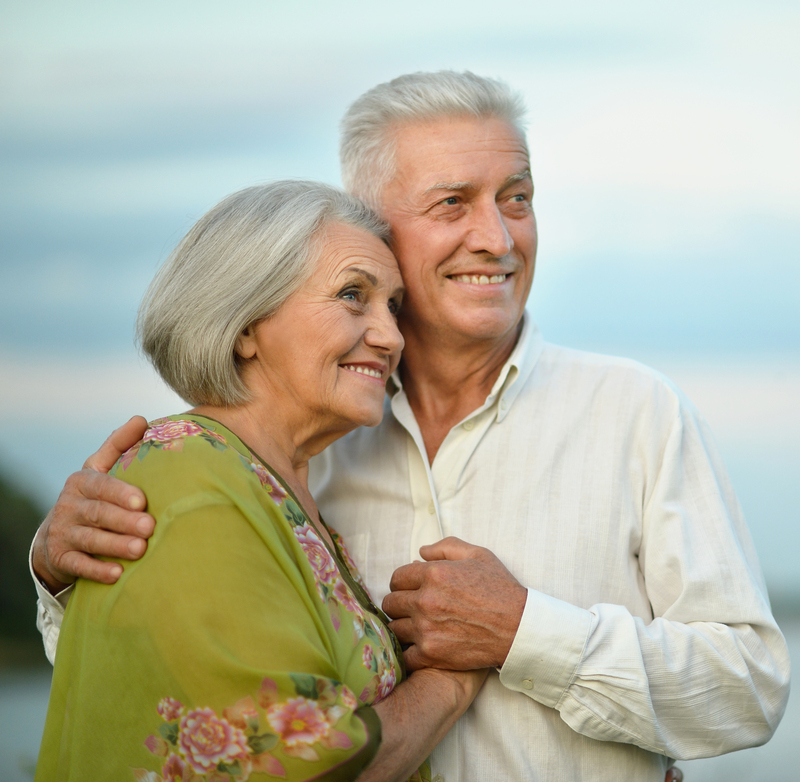 ​​The need for long term care may arise for many different reasons and at any time. In a majority of cases care is needed due to the aging process, and frequently there is also one or several medical conditions involved as well. However, needing care is not only related to the aging process; anyone might need care due to an accident, progressive medical condition, serious illness, or even a disability. No matter what age your relative is, there are two separate kinds of care that they might require - Social Care or Healthcare. They will often, of course, require a combination of both kinds of care which is what leads to the uncertainty regarding who should pay for your relative's care that they are receiving. The distinction between arranged Social Care and Healthcare needs is a critical one to make when it comes to the Care Funding Package that a person might be entitled to receive. That is why there are frequently issue regarding payment for care - since money is involved. The NHS provides healthcare and it is FREE for everybody at point of use. The Local Authority (via Social Services) provides Social Care and it is means tested, which could result in your relative being required to pay for the Social Care they receive. Therefore you can see why the distinction is important - Social Care often has to be paid for and healthcare eligibility is free. So when it comes to arranged funding the care of your relative, the most important aspect is first having the Healthcare needs of your relative assessed. If it is determined that it is a "Primary Health Need" that your relative has, then the NHS should pay for it in full. (i) What are considered to be Social Care needs? Although there is no formal definition of what Social Care means, it is frequently described as having to do with "daily living activities," or needing assistance with daily activities such as using the toilet, mobility, dressing, washing, feeding, etc., but can also include needing help with managing complex relationships, protection against vulnerable situations, as well as maintaining social interaction and independence. (ii) What are considered to be Healthcare needs? More clarity is available (although it is not absolute) when it comes to defining what Healthcare needs are. A Healthcare need relates to treating, controlling or preventing a disability, injury, illness, or disease and the aftercare of an individual who has those needs. Although not defined by law, ​Continuing Healthcare needs definition is set forth in the National Framework for ​​NHS-funded nursing care and NHS Continuing Healthcare (Revised November 2012). It is not part of Primary Legislation, however, section of the 2006 National Health Service Act require health services to provided, and when taken together with Local Authority Legislation requirements, effectively do require that NHS Continuing Healthcare (Funding) be provided by the NHS - i.e. the NHS is obligated to pay for care and be free of charge. A "Primary Health Needs Approach" is set out by the National Framework, which the NHS is bound to. It is established by the National Framework that where the primary care need is a health need, that the NHS is responsible for providing this health need, even if the person is be provided with care at home, is in a private nursing home, or is in a Local Authority care home. The important factor is that it is a health need, and not the location where care is being given. The Courts have had various rulings, including the landmark Court of Appeal ruling in the "Coughlan Case." That case established responsibility for care should only be passed onto the Local Authority if a person's health needs are only incidental to the individual's overall care needs. Simply put, if there is a Primary Healthcare Need that your relative has, then the care should be provided and ​funded solely by the ​NHS - 100% - all of it - including residential home fees or their care - and this is taken care of through NHS Continuing Healthcare (Funding). ​So why is Funding of Continuing Care a big issue? ​There is a simple answer for this - because of the fact that it costs money. So if the NHS is able to show that an individual does not have any primary health needs, they can then pass the responsibility of the person's care over to the Local Authority that will then be required to pay for the care instead - or your relative will have to more often than not based on means testing. In terms of who is responsible for paying for your relative's care, that is where the fight is. Despite having paid National Insurance contribution and Income Tax all of their life for funding the NHS, unfortunately, at the point where your relative needs to have long term care, by and large the NHS does everything that it can to deny right to the care that your relative needs. It is not a political point we are making - this is a fact that has been borne out by hundreds of various claims that we have dealt with on behalf of people who have been assessed improperly in terms of what their healthcare needs are and have been forced to pay for the healthcare they need themselves. It is only the tip of the iceberg that is visible. It has been estimated that there are more than 100,000 individuals in the UK who are incorrectly having to pay for their own health care. This is a national scandal but it doesn't appear to make it into the news. We campaign tirelessly here at TheYEC, to bring the issue to the attention of the mainstream new agenda. In terms of the national media, we have had some success, but more definitely needs to be done in order to bring the issue more to light. For the country's finances, this is a ticking time bomb, so it isn't surprising that no Government, of any persuasion, is eager to tackle the problem head on. Unfair assessments are a problem that have been occurring for many years. Dating back to February 2003, there was a report produced by the Ombudsman for the Parliamentary and Health Services called "NHS Funding for Long Term Care," which was in response to NHS conduct, which dated all the way back to 1996. Another report was produced by the Ombudsman in March 2007 after the first one was not acted on called "Retrospective Continuing Care Funding and Redress," in which the approach taken by the NHS on funding assessment issues was once again criticised. The NHS did respond with its National Framework for guiding Primary Care Trusts (PCTs) [which are now referred to as Clinical Commissioning Group (CCG's)] on providing consistence service, with the individual's needs at the forefront, we still continue seeing examples every day where procedures have not been implemented or followed properly. However, these issues politics are not really relevant for individuals. Your issue is how the circumstances that your relative is faced with will be affected by whether or not they will be required to pay for their healthcare and what you can do to ensure that your relatives get whatever funding they are entitled to receive. It is very important, of course, to note that not everybody who needs care does have primary healthcare needs. The healthcare needs that your relative has might be incidental to what their social care needs are. In that case, then the care needs of your relative will need to be assessed by the Local Authority as well as means tested and they might be required to pay for all or some of their care. ​You relative does have the "right" to have an Assessment to receive Continuing Healthcare, when they or you reasonably believe that the person has a Primary Healthcare need, and that must be done before they are passed onto the Local Authority in order to deal with the person's care needs. Although we believe it is a right, it is still true that the NHS is under no legal obligation within the strictest sense to conduct an assessment. However, in all cases, it is obligated to conduct an assessment where it appears there might be a need for this care. That is the key here. b) when an incorrect assessment has been conducted by the NHS. However, quite often, NHS nursing staff does not advise your relative or you of their "right" for having an Assessment for NHS Continuing Healthcare. Whether that is due to lack of training or understanding on the part of the staff, or part of a broader strategy for avoiding Continuing Healthcare Funding costs is a matter of debate. However, the important point here is that your relative and you need to understand what your "rights" are. - "It doesn't appear that your relative has any health needs, etc." - "Your relative needs to pay for their care." - "Your relative will not qualify." - "Individuals who have Dementia do not qualify to receive funding." - "It will take too long to do an assessment. Until we can make arrangements for one, your relative will need to pay for their care." - "Your relative will need to pay for the assessment." - "Your relative has been assessed already and doesn't qualify." - "Your relative was assessed continually whilst in the hospital, so no more checks need to be made." Social Services frequently will start asking your relative questions regarding their financial situation and whether or not they are self funding. That goes against advice in the NHS Framework, which states specifically that when an Assessment is undertaken that financial issues shouldn't be considered. They are not allowed to ask your relative questions regarding funding until the initial Checklist Assessment has taken place for Continuing Healthcare Funding and it must be clear that the person understands what their rights are and that the legal process is expected to be followed. So what occurs if the NHS attempts to "fob off" your relative or you when is comes to having a Checklist Assessment done? As previously stated, when it comes to having a specific right to have an Assessment, the NHS Framework is quite vague. It states that an Assessment should be conducted in all cases where it appears there might be a need for care. With such a vague term as "appears" being used, it would seem that places the obligation on the NHS to make a determination. However, the Framework also states that threshold at that stage in the process has been set low intentionally to ensure that all people who require their needs to have a full consideration will be given the opportunity. It is very important for you to know what your relative's "rights" are and what the obligations of the NHS are. If you believe your relative does have a Primary Health Need, it is important to make that clear and also clearly statement why you think that is the case. Then if the NHS either fails to make arrangements or refuses an Assessment, your relative or you will need to put your request and complaint in writing. Begin with sending it to the Care Home Manager, but send a copy to all of the relevant Departments Heads within the local Local Authority and NHS structure. There is a Continuing Healthcare Funding Department for every NHS area (governed now by Clinical Commissioning Groups (CCG's)), that is responsible for conducting Assessments. They cannot deny or ignore the request from your relative for an Assessment - so long as there are reasonable grounds for your relative to request one. If the NHS continues to refuse one, then your relative and you probably need to have legal support and advice. This needs to be comprehensive support when it comes to recording the process of what has occurred and when. Under the NHS Framework, your relative as well as their advocate are both entitled to understand this process and receive information and advice that maximises their ability to participate in making informed decisions regarding the future care of your relative. However, before an Assessment occurs, your relative will have to provide their consent. That includes providing their personal information with various organisations who are involved in their care as well as providing their advocate with the information. Your relative may provide their consent as long as the person has the mental capacity to be able to do so. If your relative is deemed to not be fit under the 2005 Mental Capacity Act to give their consent, then a legal process will need to be undertaken by their advocate to obtain this consent. It is absolutely critical to keep a record of what has occurred to ensure that the proper process is followed, particularly if your relative and you subsequently disagree with any of the decisions that are made and want to appeal them. Copyright 2018 by TheYEC Personal Lawyers. Authorised & Regulated by the Solicitors Regulation Authority. Our Regulatory Information.